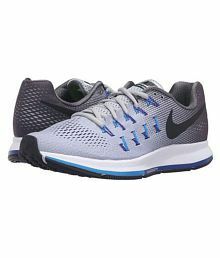 Here are top selected products for "Sports Shoes"
A perfect pair of sports shoes is an essential choice for every man's footwear collection. Snapdeal brings to you a wide range of sport shoes for men. Whether you want cricket shoes, or shoes for other sports like tennis, basketball and football, outdoor and training shoes or running shoes, there is something for everyone. 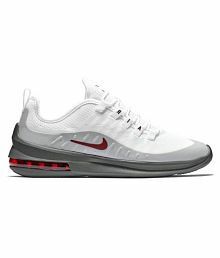 Sport shoes are specially designed to provide comfort and style. If you love hiking, running or any other kind of sports, it's extremely important to have the right kind of shoes. At Snapdeal, you will find sports shoes for men for all kinds of sporting activities and games to suit your purpose, taste and requirements. There is a big difference in how sports shoes support your feet compared to normal shoes. For every sport you play, you are recommended to wear a specific kind of shoes made for that particular sport. It is dangerous to wear football shoes while playing tennis as you might end up hurting your feet in the process. Tennis shoes are specifically designed for lateral movements whereas football shoes for faster movements on football grounds. Similarly, running shoes are apt only for running. They are extremely flexible and long lasting, and allow your feet to bend as well as flex. 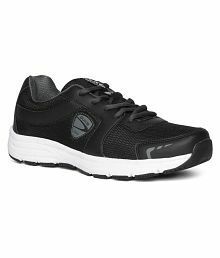 You will also find shoes that are perfect for walking, hiking, trail running, training, gyming, cycling, and carrying out various other outdoor activities. Additionally, it is important to choose the right size of the footwear from the large collection available so that your feet fit comfortably into the shoes. 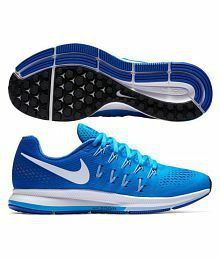 Are you looking for sports shoes that you can wear in a hurry? If yes, then you can take a look at the collection of slip-ons or sports shoes with Velcro straps. All the sports shoes available at Snapdeal come from reputed brands like Puma, Nike, Adidas, Slazenger, Salomon, Nivia, Fila, Asics, Skechers, Sparx, Li-ning, New balance, Umbro, Wilson, Pure play, GAS, Yonex, Lotto, Lee Cooper, Reebok Sports Shoes, and the like - assuring you top-class quality. To play a sport or go hiking comfortably, buy sports shoes online at Snapdeal today at reasonable prices. Buy Mens Sports Shoes Online at best prices on Snapdeal - largest online shopping site in India. Buy Shoes Online at low prices in India and select from a wide range of Shoes for Women, Casual Shoes for Men, Formal Shoes for Men at Snapdeal.